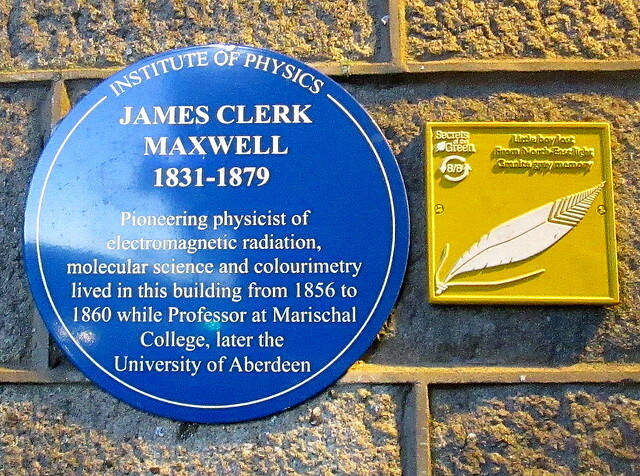 Memorial plaque to perhaps Scotland’s greatest scientist. I have mentioned the Beach Ballroom several times, but all of these refer back to my original post. On the same day Sons played Aberdeen in the Cup quarter-final (over two years ago) I actually got round to taking photos of it myself. Pittodrie Stadium is the home of Aberdeen FC. 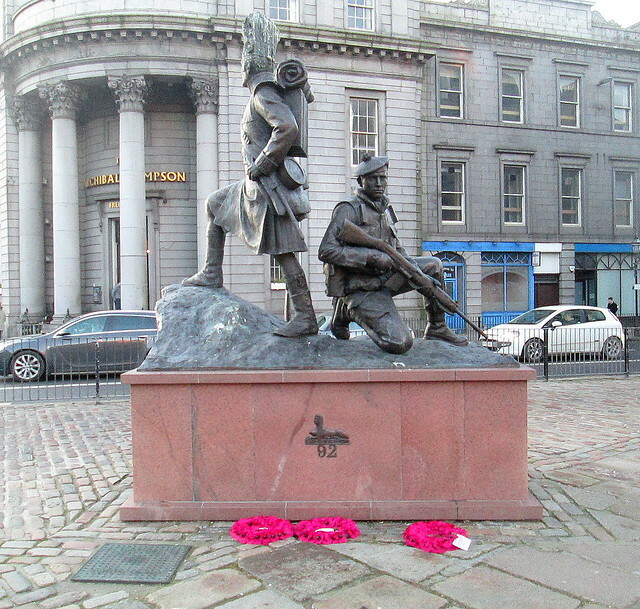 This is the earliest I’ve noted poppy wearing since my blog started. For the record the posts were on 28/10/08, 23/10/09, 23/10/10 and 6/11/11. This is only October 17th. And who was it this year? Why, none other than our esteemed First Minister, Wee Eck, otherwise known as Alex Salmond, on the lunchtime BBC Scotland news commenting on the green light finally being given to the Aberdeen by-pass. On the evening Reporting Scotland a local Aberdeen councillor was also shown with one. 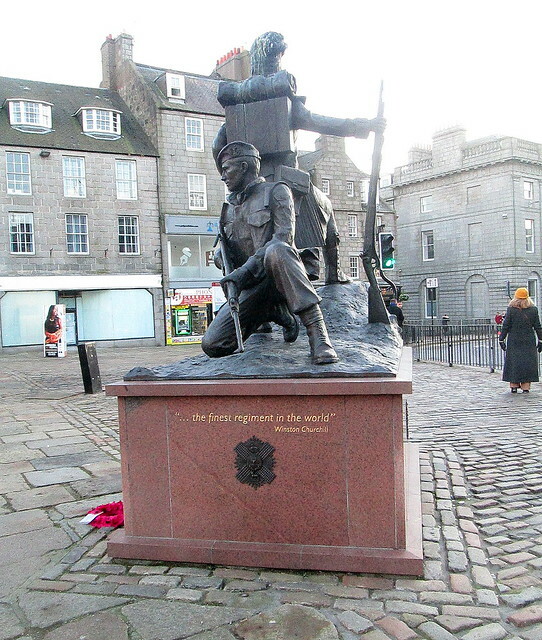 It’s over three weeks till Remembrance Day. I do think they could at least wait until November. 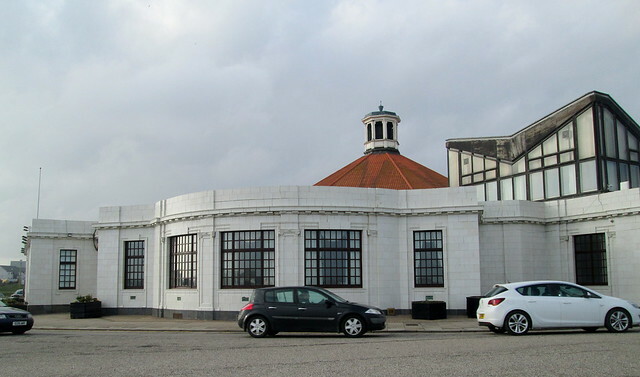 Scotland’s Art Deco Heritage 14 and Aberdeen’s Art Deco Heritage 3, Revisited. 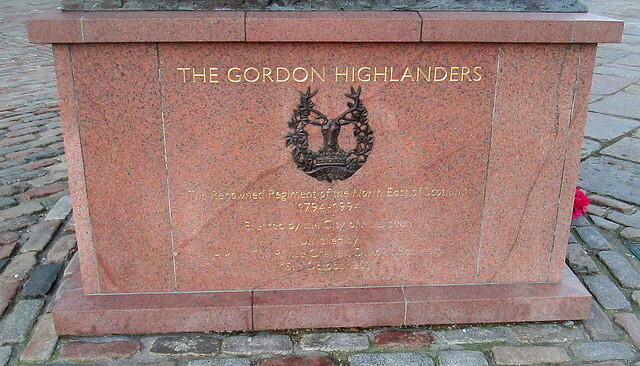 Yesterday afternoon I glimpsed a programme called Grand Tours of Scotland. I wouldn’t normally have watched this (mainly because the good lady thinks the presenter, Paul Murton, has an unappealing voice) but we were in someone else’s house at the time. 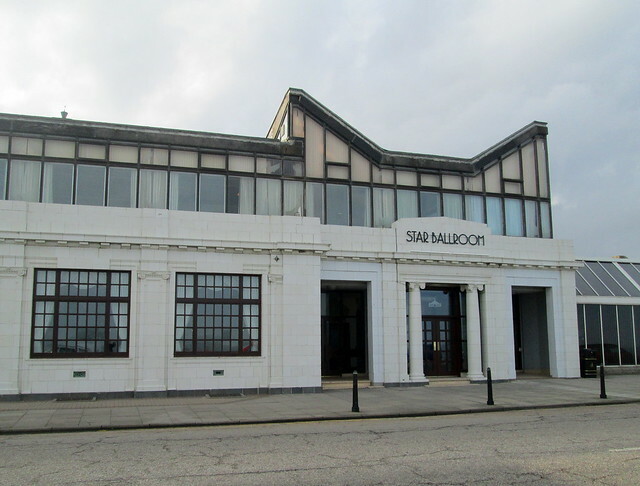 He ended up at the Beach Ballroom, Aberdeen, which is in my Aberdeen Art Deco Heritage posts. Murton undertook some dancing inside the Ballroom. The interior still retains Art Deco features. Anyway the programme is available on the BBC iPlayer, but only until Wednesday 21/12/11, so if you tune in you can catch some glimpses yourself. Also on the iPlayer (till tomorrow 20/12/11) is a piece, about 25 minutes in, from The One Show on the Midland Hotel, my post on which you can see via the link. 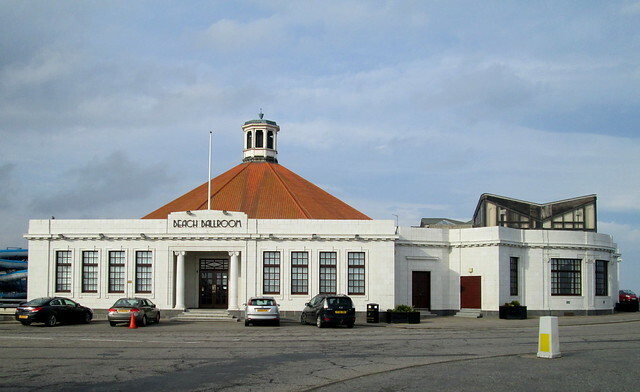 I found this article after a search for Aberdeen Art Deco reached this blog and I followed the link. The list of buildings begins on page 6 of the document. 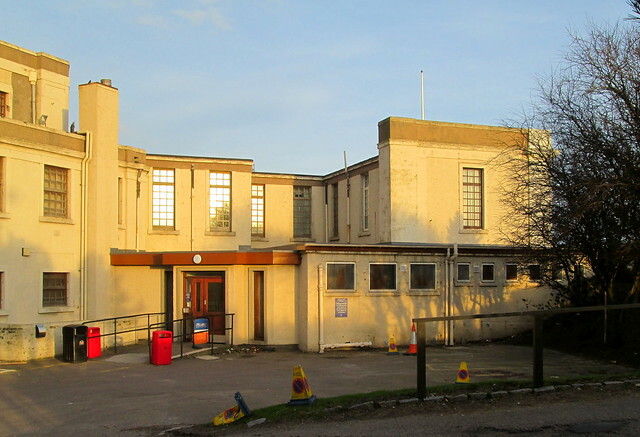 For Foresterhill Medical School, King’s College Sports Pavilion and Tullos Primary School I could find no photos. 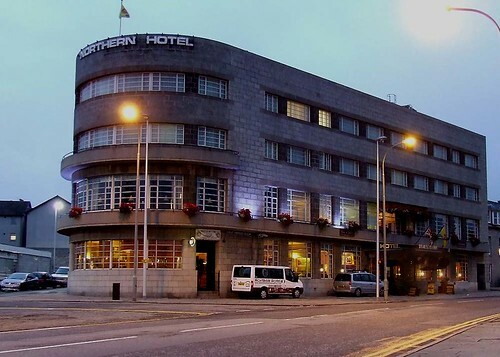 The Northern Hotel, of course, I have featured before but here’s another picture. 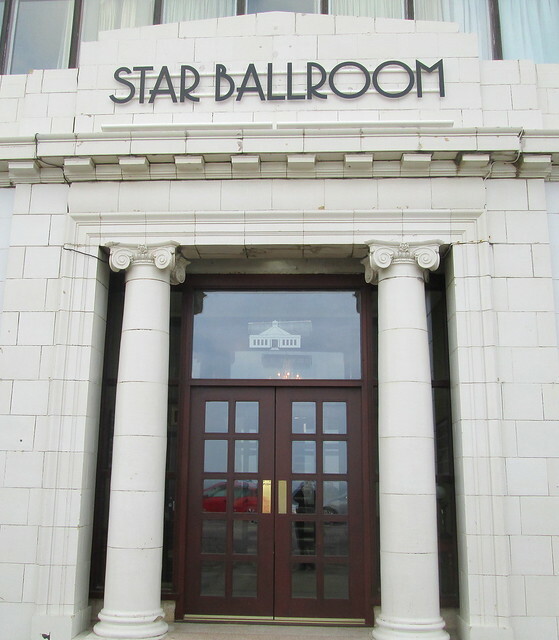 No mention in the article of The Beach Ballroom, though. 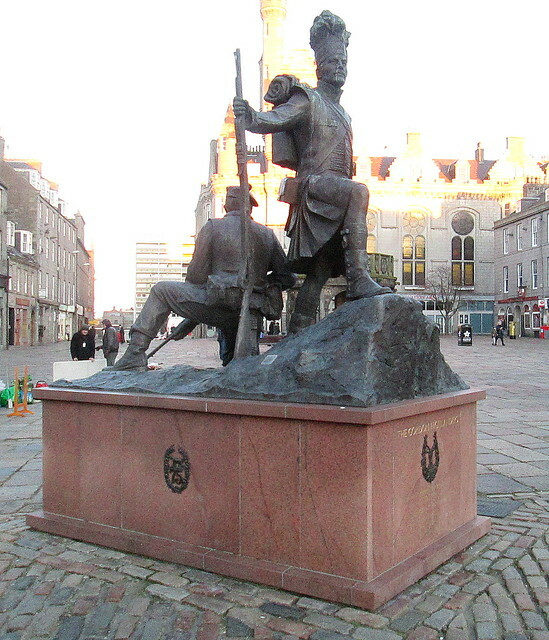 There is this too from Bon Accord Street. 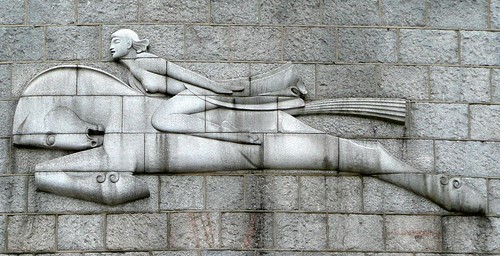 There is also a striking relief on the side of a tenement. 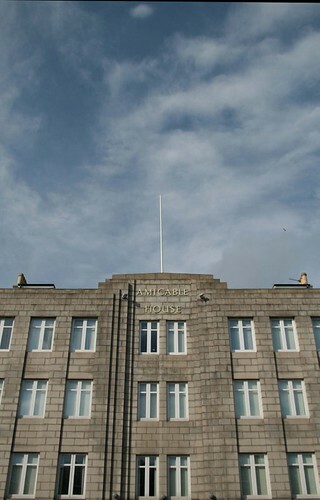 Aberdeen’s Art Deco Heritage 3. 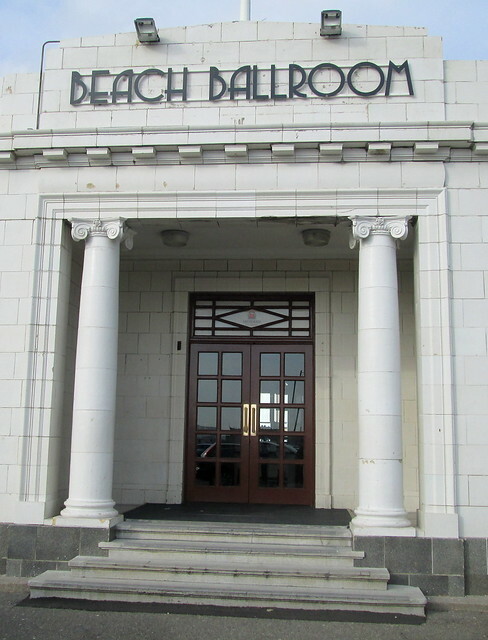 The Beach Ballroom. 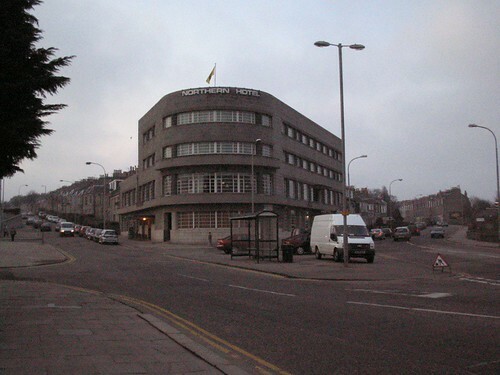 Here’s yet more proof that Aberdeen does have Art Deco influenced buildings. Among its claims to fame are a floor sprung on steel springs and that the Beatles played the final gig of their 1963 Scotland tour there. This link shows a close up of the nice detailing above the doorway. 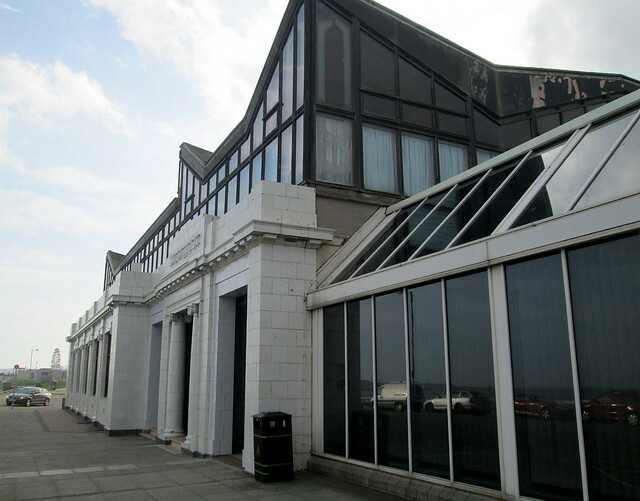 There’s a more general view here and a nice panorama plus some interior views at Scottish Cinemas. This one is from a distance inland. Their site has been updated but there’s still an orthographic error on the new page about the ballroom. 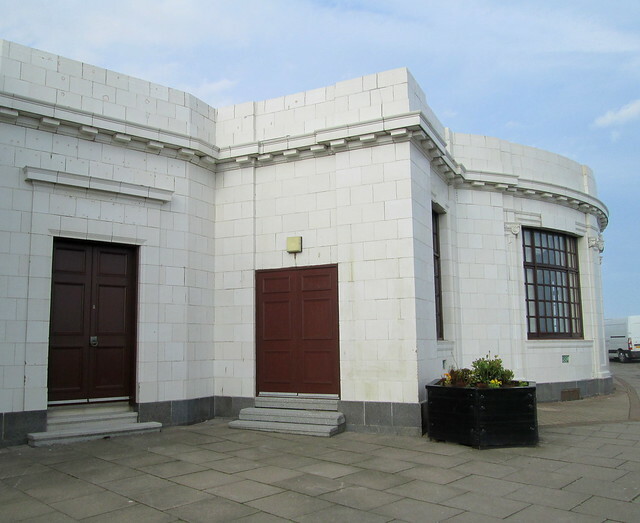 I was meaning to put up some more examples of Art Deco from Glasgow but haven’t been able to find blog friendly photographs of them on the net so they’ll need to wait till I get across to the West to take pictures of them myself. 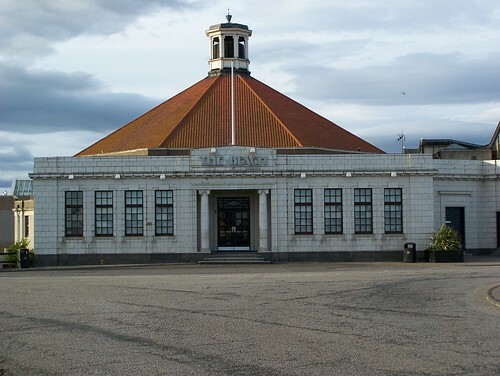 In the meantime I recently read someone saying that Aberdeen didn’t have any Art Deco buildings. Obviously they had never been inside the Bon Accord Baths. And this hotel looks pretty Deco to me. 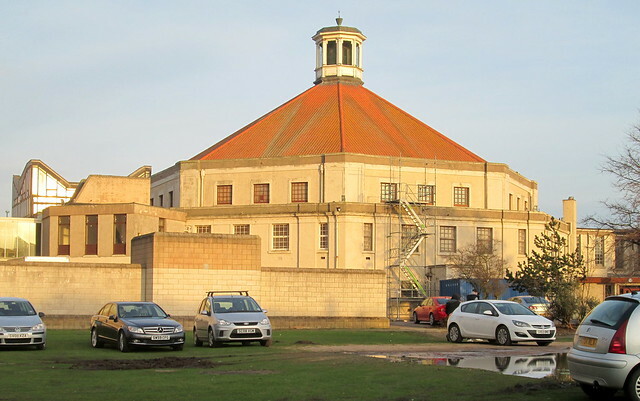 Reminiscent of Rothesay Pavilion in its circular sweep. 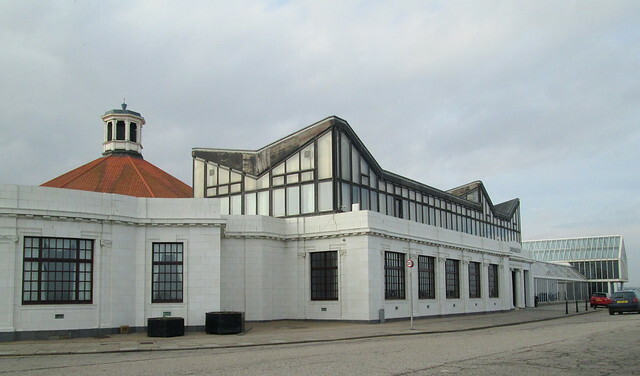 Also something like an ocean liner which all good Art Deco buildings should be.